HUHESO - FOUNDATION: LAUNCH CAMPAIGN CEREMONY OF FOOD AND NUTRITION 16th MAY 2013. LAUNCH CAMPAIGN CEREMONY OF FOOD AND NUTRITION 16th MAY 2013. 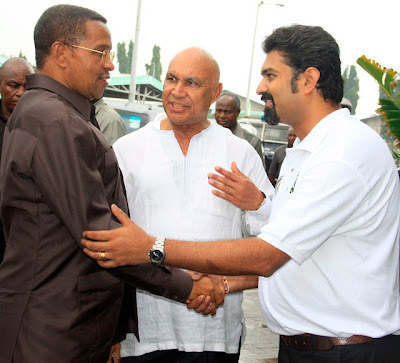 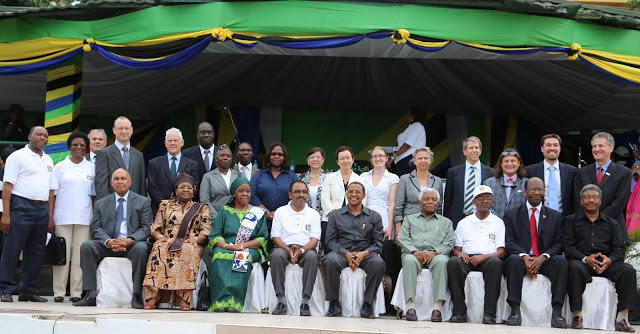 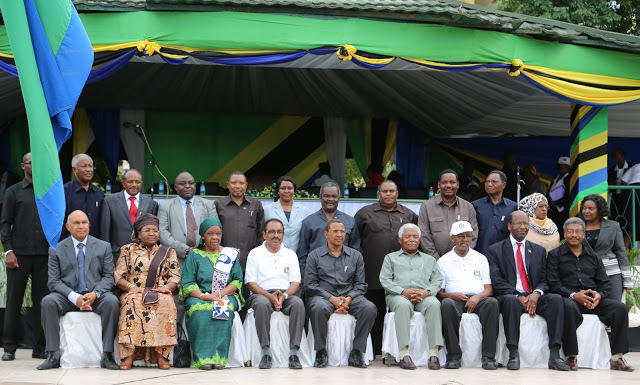 President Jakaya Kikwete, former President Alhaj Ali Hassan Mwinyi, Mama Maria Nyerere, Deputy Minister of Health Dr. Seif Rashidi, together with Regional commissioners on campaign launch ceremony of Nutrition in the grounds at Mnazi mmoja in Dar es salaam on 16.May 2013. President Jakaya Kikwete, former President Alhaj Ali Hassan Mwinyi, Mama Maria Nyerere, Deputy Minister of Health Dr. Seif Rashidi With the Friends, donors development partners who joined the launch ceremony nutrition campaign. 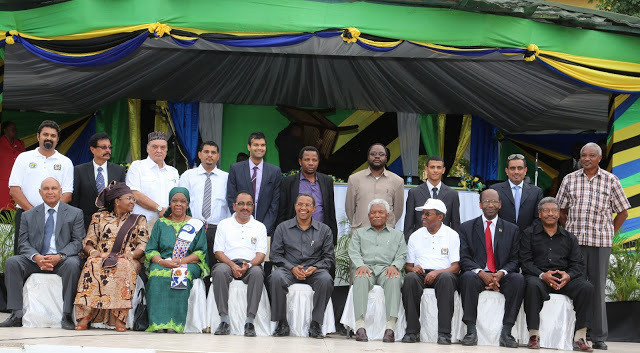 President Jakaya Kikwete, former President Alhaj Ali Hassan Mwinyi, Mama Maria Nyerere, Deputy Minister of Health Dr. Seif Rashidi With various grocery manufacturers who joined the Launch ceremony at Mnazi Mmoja. 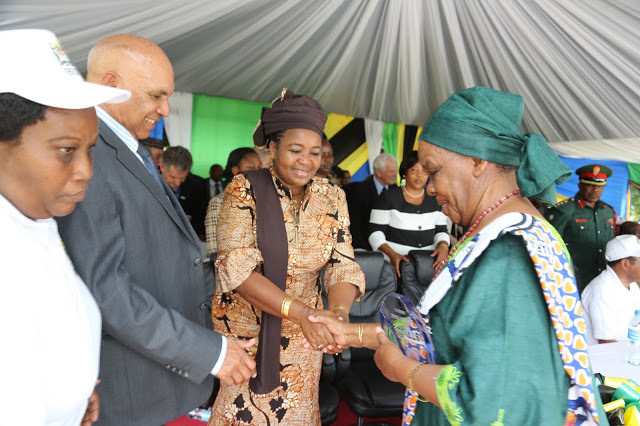 Salima Mama Kikwete was congratulated Mama Maria Nyerere for receiving the award on behalf of the father of the nation JK Nyerere in recognition of his contribution in promoting nutrition at the ceremony. President DR Jakaya Kikwete cutting ribbon marking the official launch of the Campaign for Nutrient Enhancement of vitamin A in Food produced manufactured. 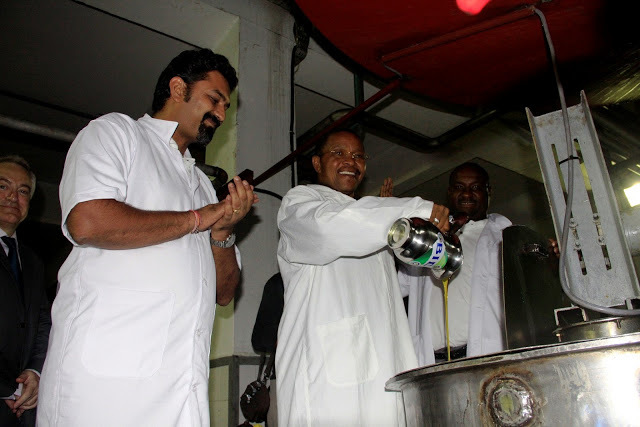 President DR Jakaya Kikwete pouring oil forming nutrients in oil mill as a sign of official launch of the campaign, the launch took place at the Bidco factory located Mikocheni Urban dare s salaam, who witnessed the Left is the executive officer of the Factory Hemal Shah. 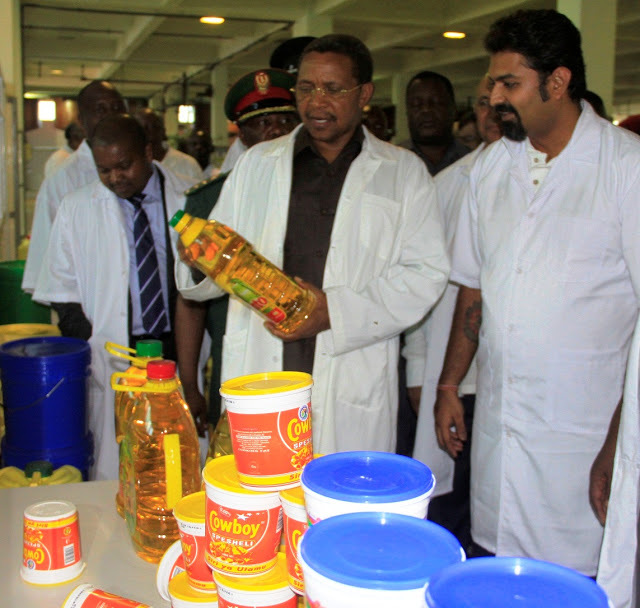 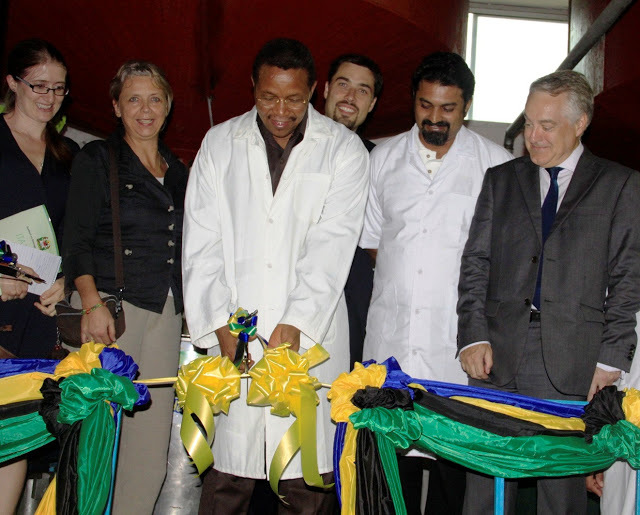 President DR Jakaya Kikwete referring some of the oil with nutrients produced in the factory of Bidco.